There are more than 1 billion Facebook users, with about 170 million of those in the U.S. That is more than half the American population. Considering that population includes people who cannot work, either due to age or disability, it’s safe to say most working Americans are on Facebook. Los Angeles employment discrimination attorneys know there is no lawful reason Facebook needed to allow this kind of pre-employment selection of potential applicant pools. Facebook now vows that advertisements explicitly narrowing job applicants based on these characteristics would not longer be an option. The same would apply for Messenger and Instgram, which the company also owns. But it’s not as if the corporation simply did this of their own volition/goodness of their hearts. It is part of a settlement to quell the rising tide of employment discrimination litigation. The company’s chief operating officer Sheryl Sandberg called the settlement “historic,” but our thinking is it should have occurred much sooner. Numerous news organizations, including The Times but also ProPublica and others have launched in-depth investigations into the ways in which Facebook allowed users to take advantage of its targeted ad tools to tailor job advertisements in ways that would limit certain groups (workers over 40, women, etc.) from seeing those job listings. Los Angeles employment discrimination attorneys know that while scrapping these tools is certainly a positive, the reality is the company is really just removing the explicit ability to carry out employment discrimination. There is concern it still doesn’t fully address the problem. 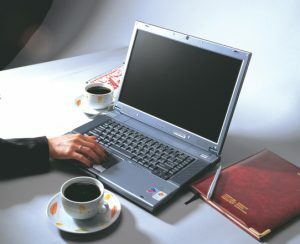 For example, even if an employer posts a job listing advertisement with intent to show it to both older and younger workers, the social media firm’s algorithms work in such a way that if more younger workers are clicking on it, they are in the end going to be more likely to see it – meaning older workers could still be closed out, never seeing those posts. Facebook’s top brass said it is aware of this potential issue, and is working with third parties to try to find ways to ferret out discriminatory hiring practices using its platform.